day around the exhibition booths and vehicle display. Contestants need to submit their photo before Sept 19, 12:00pm to the organizer. 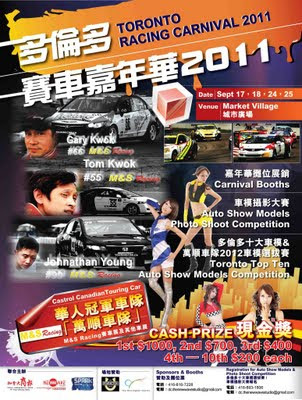 Results will be announced on Sept. 25 during the Toronto Top Ten Auto Show Models Final Competition at Market Village between 2:00pm - 5:00pm. Castrol Canadian Touring Car drivers and cars will be on display.